The annual Burning Man event is where we all come together for one week each year. Check out the event's 10 Principles to better understand our core values. The Heebeegeebee Healers is the original camp we off-shot from. Wooh Heebees! A neighboring Burning Man camp that focuses on personal empowerment, galactic awakening, and gender alchemy -- modeling ecology, women’s empowerment, sacred masculine and feminine energies, and creating community. 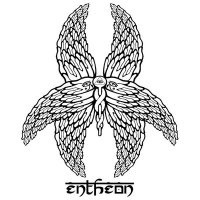 Entheon, meaning “a place to discover the spirit within,” is an effort to promote sustainable cultural re-evolution that heals relationships between the people of the earth and our planet. Mission: to demonstrate a future in which sustainability, ecological responsibility, environmental stewardship, and meditative and mystical consciousness are a welcomed and integrated part of society, and where art, spirituality and creativity is central to that vision. A grounded gathering place offering an intellectual, therapeutic, artistic and creative cornucopia of interactive opportunities. Lectures, workshops, renewable energy demonstrations, visionary art, zen meditation in a zendo, holotropic breathwork sessions, and performance come together in the spirit of celebration to co-create our shared vision of global healing and a broader awareness of ecological responsibility and the utopian spirit.